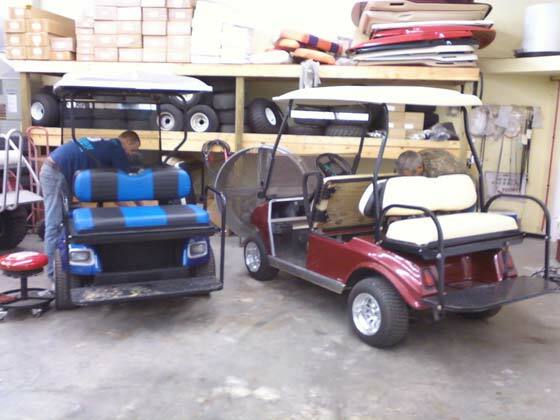 Custom Carts not only sell golf carts, we also have a fully stocked parts and service department. 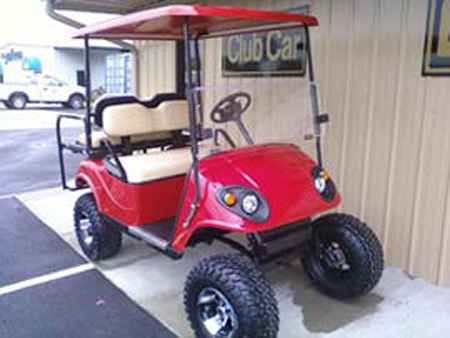 We have parts for ClubCar, EZ-GO, and Yamaha golf carts in stock. We also have Trojan Batteries in stock. 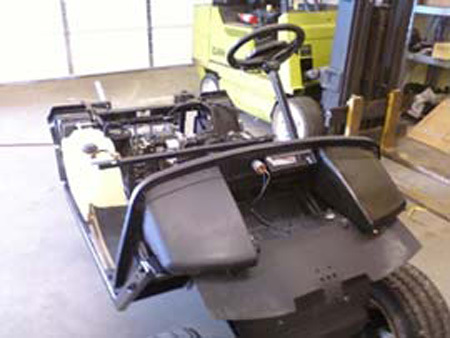 Our knowledgeable service team can repair any problem you may have with your golf cart. 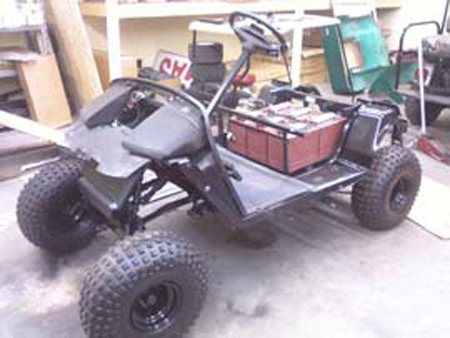 We also do custom builds to your specifications. If you can’t come to us, no problem. We also have a pick-up and delivery service. Give us a call today at (843) 672-2440 or fill out the contact form below. Take a look at the before and after shots of just two of our custom golf carts. 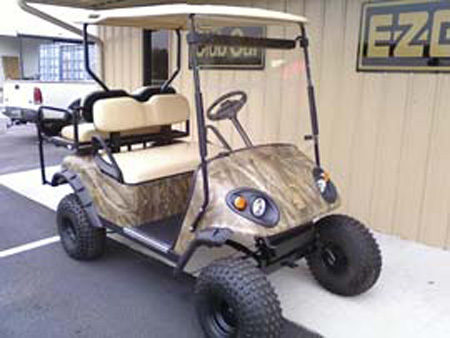 These are just two examples of the many customization options that we can make use of to build the golf cart of your dreams.